Is work related stress affecting your life? Is anxiety a barrier that is stopping you achieving what you want out of life? Do you feel misunderstood and that no one understands your feelings? Let me help you to know your mind better. My name is Brian Turner, and I am a fully qualified psychotherapist. I am a therapist who believes in combining therapies and techniques to promote an active well-being in all of my clients, allowing them to begin again.I am focused on providing the best therapeutic care for anxiety based conditions and do so at an affordable price. The services I offer are designed to take away your stresses and anxieties of everyday life and I provide all of my clients the opportunity to challenge their unwanted behaviours by looking deeply at the past and present to focus on the future that you deserve. I have had great success with resolving unwanted habits, and thought patterns. I do so by not only by dealing with presenting issues but also explore the "why", or reason you have your unwanted behaviour, thus providing a more successful course of treatment. If you are a person who has something that they would like to change; allowing a refreshing and invigorating start to life, feeling free from unwanted thinking and habits, please don't hesitate to contact me. 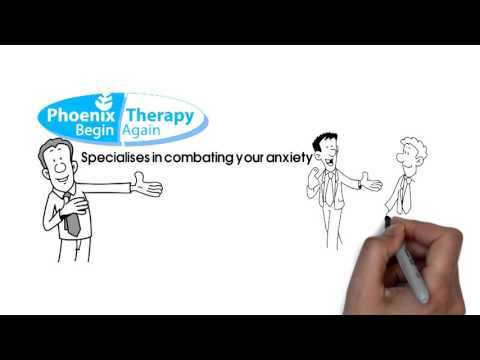 Mindfulness for Anxiety and Depression - College of Cognitive Behavioural Therapies. Stamp out suicide - placement coordinator. Supervision fees £50 / £25 (first year graduates). Please note that in the event that a client needs to have supporting documentation written at their request, then they may be subjected to a £10 administration fee. A psychotherapeutic approach to the new GCSE and A-level exams. I offer 121 supervision via phone and face to face under a GHR or a National Hypnotherapy Society framework. Phoenix Therapy is proud to have an affiliation with WDHCS. WDHCS has a limited number of bursaries available for people in the West Yorkshire area who wish to access health services but cannot due to financial reasons. The bursary has a value of up to £500 (12 x 1 hour session of therapy) per person to be spent on health treatments. By working together with my clients can help you apply for a bursary; this is no guarantee of acceptance but a cases will be processed on an individual basis. If you have any further questions about this bursary or anything please feel free to contact me. There is a disabled entrance with a ramp for ease of access to the premises. Appointments Monday-Friday; please enquire for further details.